Music lovers, pack your bags! Festival season is just about to get underway in California. We have the scoop on a few of the top music festivals around the state as well as your ticket for a prime place to stay. There’s no need to pitch a tent or wait in lines for portable toilets when you can bask in comfort and luxury of a boutique hotel at the end of the day. 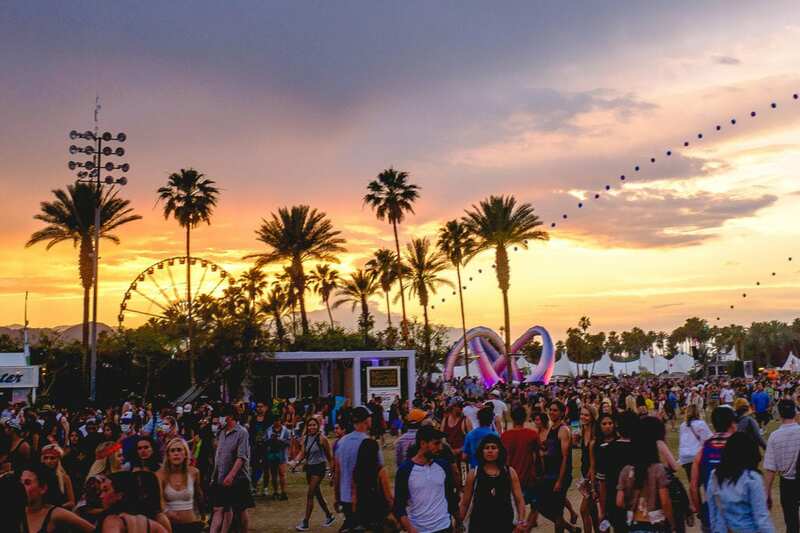 The season kicks off with one the world’s most influential music festivals: Coachella. Set in the desert two hours east of Los Angeles, the trend-setting festival runs two weekends in mid-April and features big-name performers and emerging artists spanning an array of genres. This year’s headliners include Childish Gambino, Tame Impala, and Ariana Grande. A fitting backdrop to the hip musical vibe and bohemian fashion of Coachella, El Morocco Inn & Spa offers the opportunity to decompress after the day’s mayhem, or to rest up in preparation. 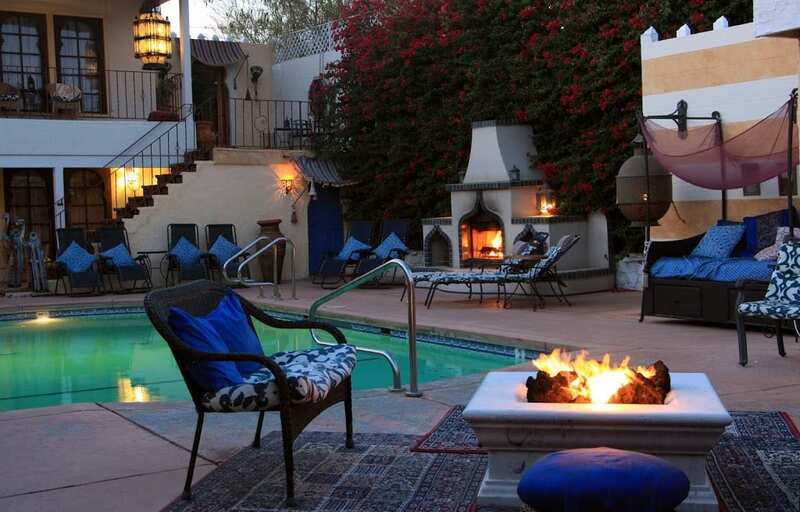 Hidden away in Desert Hot Springs, the inn is Moroccan-inspired oasis featuring warm pools of natural spring-fed mineral water that are open to guests 24-hours a day. The pools are surrounded by glowing lanterns, lounge chairs, Moroccan poufs, and daybeds piled with pillows. An outdoor fireplace and fire pit add to the enchantment. In addition to the soaking pools, the inn’s day spa offers an array of spa treatments ranging from over a dozen different types of massage to cleansing and detoxifying body masks and body scrubs. In a quiet spa garden, a genuine Bedouin tent provides a space for yoga or meditation. 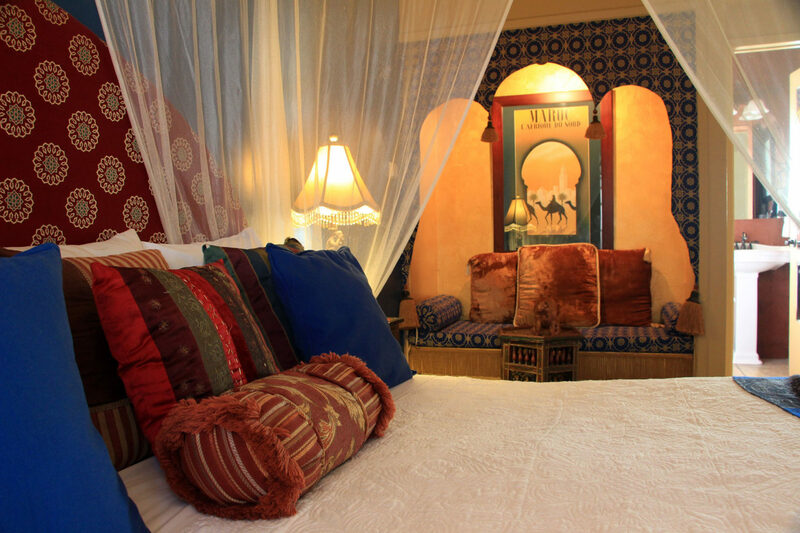 The richly-appointed guest rooms are decorated in authentic Moroccan antiques and fabrics brought back from the owners’ dozens of trips to Morocco. Held over Memorial Day Weekend, Bottle Rock Napa Valley is a three-day festival pairing chart-topping musicians with world-class wine and food. Music stars share the stage with Napa Valley wines and celebrity chefs. This year’s musical line-up includes Imagine Dragons, Neil Young, Mumford & Sons, Santana, Pharrell Williams, and many others. There’s also an on-site spa. But if you’re in need of place to recharge outside of the festival, one of our favorites in Napa Valley is the Mount View Hotel & Spa. 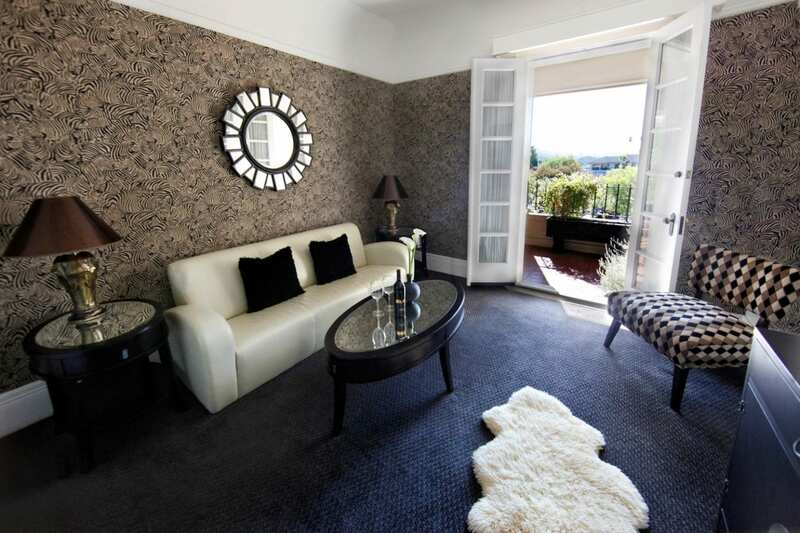 Located in downtown Calistoga, the historic hotel features original art deco architecture with a trendy vibe. Walls are painted deep red or hung with bold wallpaper prints. The décor is an eclectic mix of mid-century and art deco furnishings that shimmer with glamour. Featherbeds and lofty down duvets provide a luxuriously comfortable night’s sleep. The 33-room hotel also includes private artist cottages with private patios, private outdoor Jacuzzis, and artist’s easels with paint and canvases. 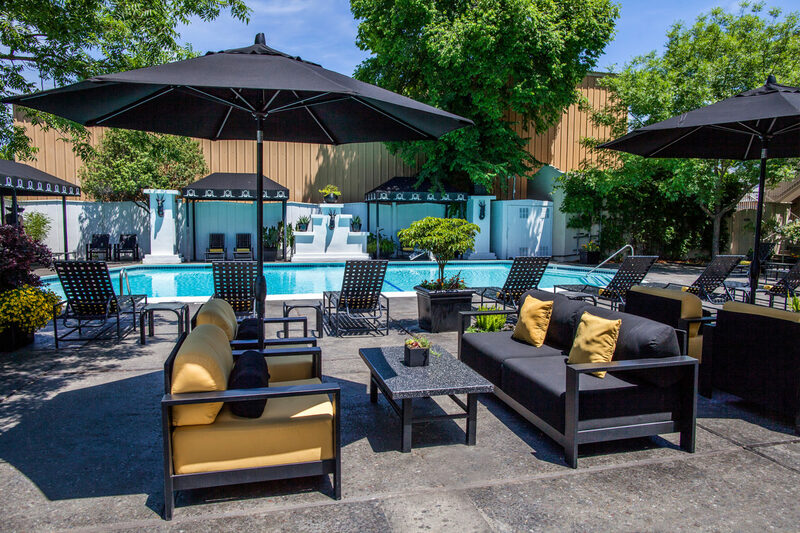 Outside, the garden courtyard offers a heated pool and mineral whirlpool with cozy spots for relaxing poolside. For more pampering, the Mount View Spa provides a complete range of body treatments including massage, facials, hydrotherapy, grape-seed scrubs, and soothing detox body wraps to promote relaxation and wellbeing. In addition to showcasing the biggest names in indie rock, alternative rock, hip hop, and electronica, the Outside Lands Music and Arts Festival in San Francisco is the quintessential celebration of the city with food, wine, beer, art, and even cannabis. The festival rises as a small city in Golden Gate Park for three days in August. Paul Simon is this year’s headliner; the full line-up will be announced on Tuesday. 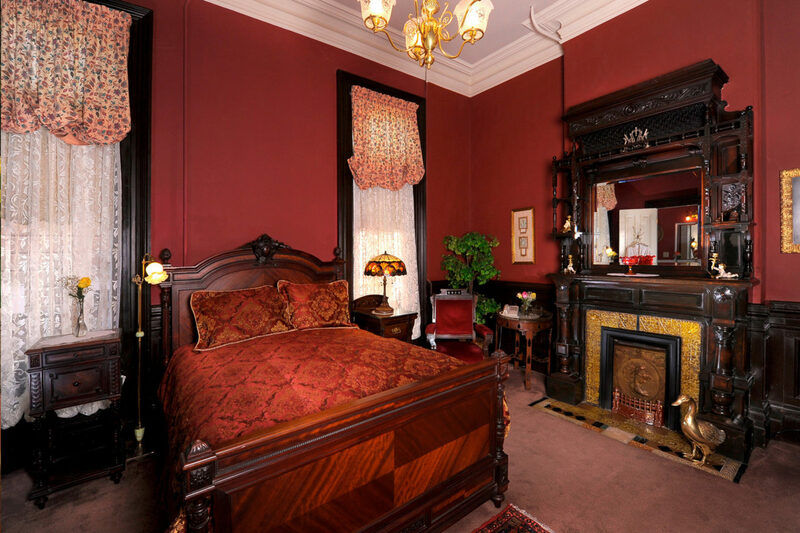 Inn San Francisco, an 1872 Italianate Victorian mansion bed and breakfast, is a hidden refuge in the heart of San Francisco’s Mission District but close to public transportation for easy access to the festival. The beautifully restored hotel evokes the splendor of a bygone era with opulent woodwork, marble fireplaces, stained glass, and two grand parlors. The inn’s guest rooms are furnished with Victorian antiques, cozy featherbeds and fresh flowers. The suites feature spa tubs and fireplaces. The inn’s rooftop sundeck offers 360-degree views of the city. 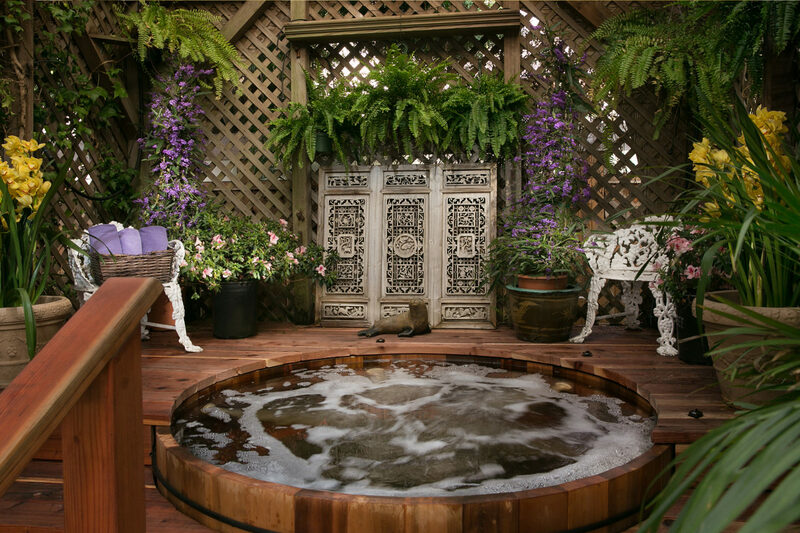 An English garden features a hot tub nestled beneath a gazebo. The rooftop deck and garden hot tub are open to 24-hours a day. A generous breakfast buffet is served each morning featuring home-baked breads, quiche, fresh fruits, and more. Guests can enjoy breakfast in the parlors, on the rooftop deck, or in the English garden. Refreshments and snacks are also available throughout the day.